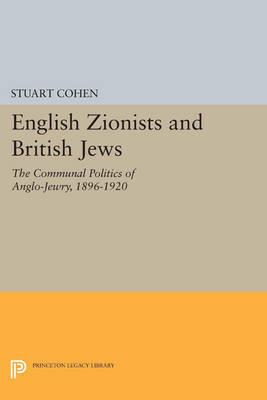 Demonstrating that the reaction of the Anglo-Jewish community to modern Jewish nationalism was far more complex than conventionally thought, Stuart A. Cohen argues that the conflict between Zionists and anti-Zionists, although often stated in strictly ideological terms, was also an aspect of a larger contest for community control. Originally published in 1982. The Princeton Legacy Library uses the latest print-on-demand technology to again make available previously out-of-print books from the distinguished backlist of Princeton University Press. These editions preserve the original texts of these important books while presenting them in durable paperback and hardcover editions. The goal of the Princeton Legacy Library is to vastly increase access to the rich scholarly heritage found in the thousands of books published by Princeton University Press since its founding in 1905.